The list of items we are dependent on the grocery store for keeps shrinking. I ran low on confectioner’s sugar (powdered sugar) while baking this past weekend, so it was the perfect to try making my own. I have read how easy it is to do, but had not taken the time to do so. Turns out, it is every bit as easy as described. 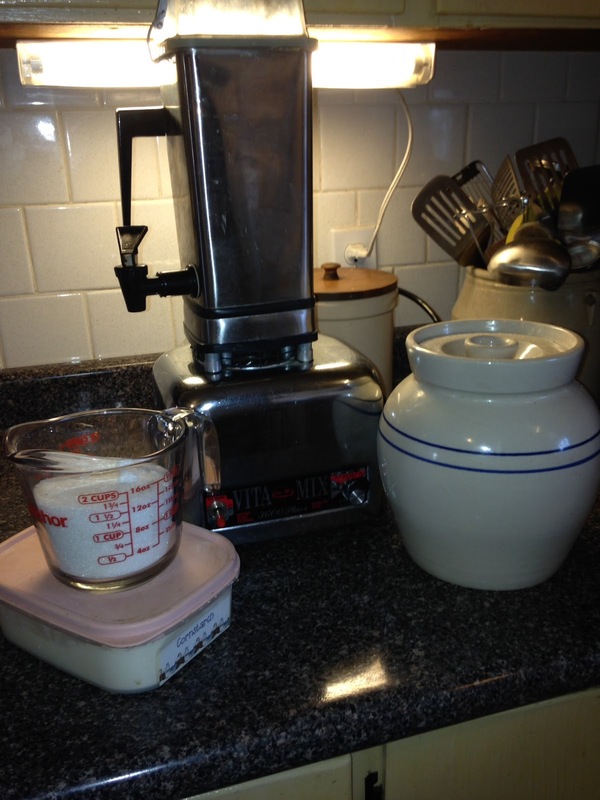 I used my VitaMix, but am assured that any blender will work. 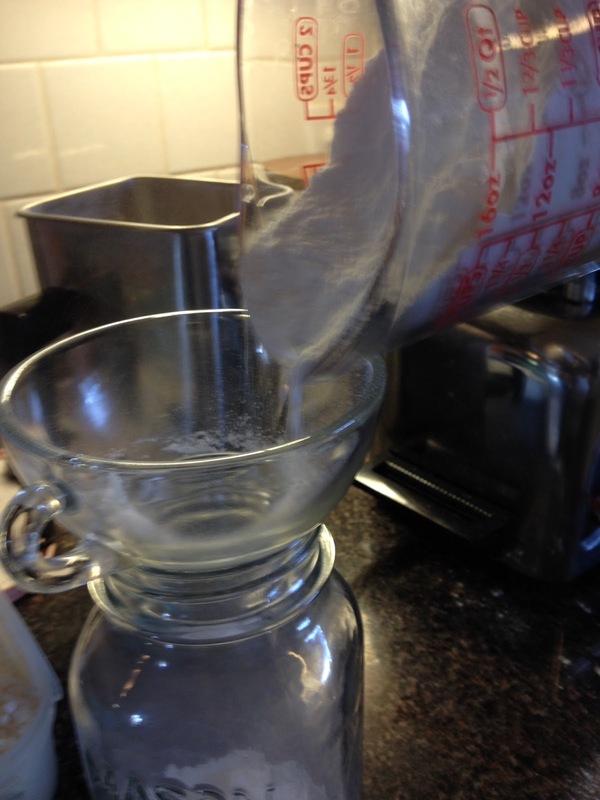 The VitaMix worked quickly and created a fine powdered sugar with the same consistency as the store bought stuff. 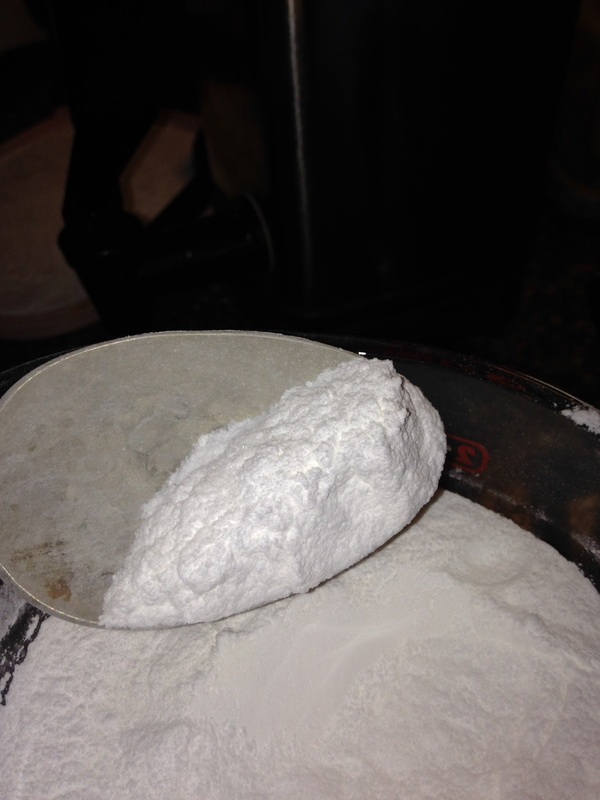 Using 1 1/2 cup sugar, and a Tablespoon of cornstarch, created nearly 2 cups of powdered sugar. The second batch I did was blended slightly longer, which seemed to make it “fluffier”. I had to really work to get the two batches into my quart storage jar. Here are the steps I used, and the finished product. I gathered together the supplies needed. I used pure cane white sugar and corn starch. 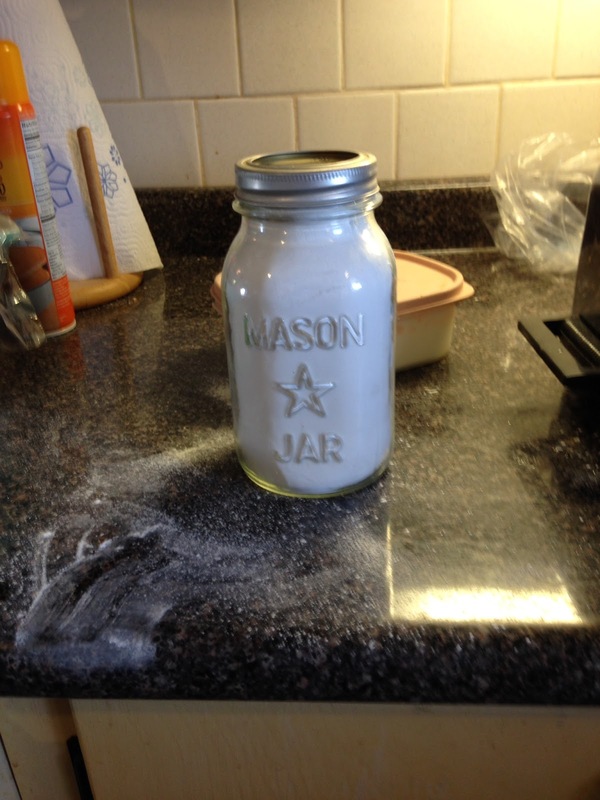 Apparently the cornstarch works as an anti-clumping agent, and arrowroot can be substituted. I had no arrowroot on hand so I can’t speak to the efficacy of it’s use. I set up my VitaMix blender. 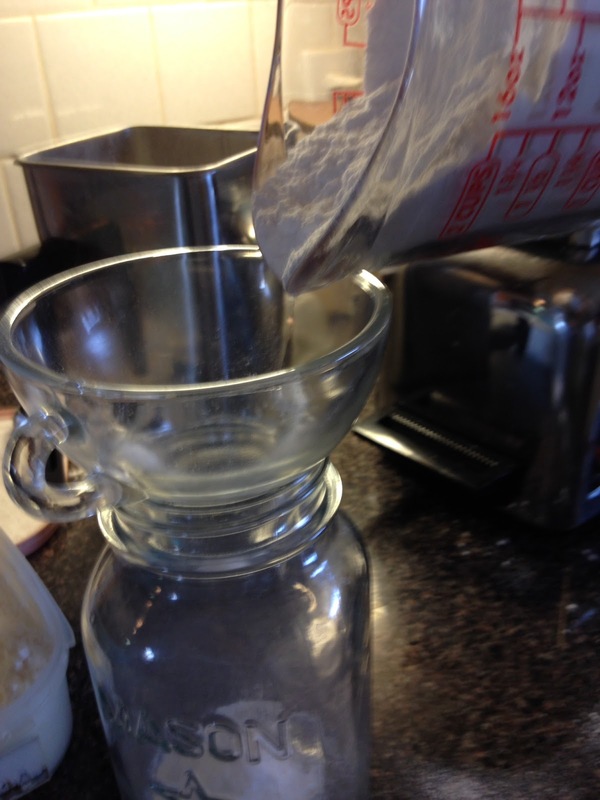 Just a tip; I have learned when I want to use mine for grinding dry ingredients, and want to prevent the spout from being caked full of the end product, I take a piece of paper towel or small piece of fabric, roll it tightly and place it in the spout, from the inside, leaving a very small amount sticking out into the container. Be VERY CAREFUL to pack tightly so that it does not slip out during blending. With the centrifugal force and outward pressure of the blending, there is minimal chance of it coming, but I am still careful to avoid it being loose. You may have to use tweezers to remove it, but this is much easier that trying to dig out the dry packed, product when you are cleaning up. 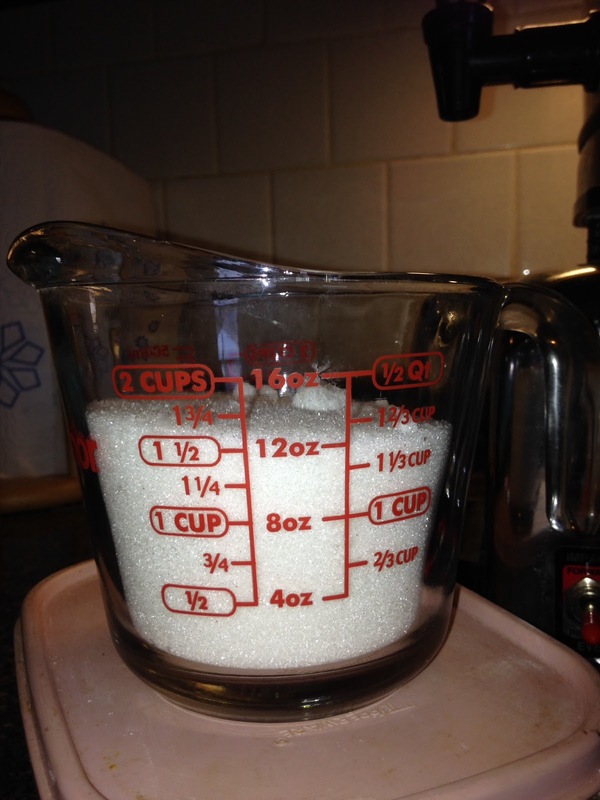 Measure 1 1/2 cups white sugar, or the sugar or sugar substitute of your choice. 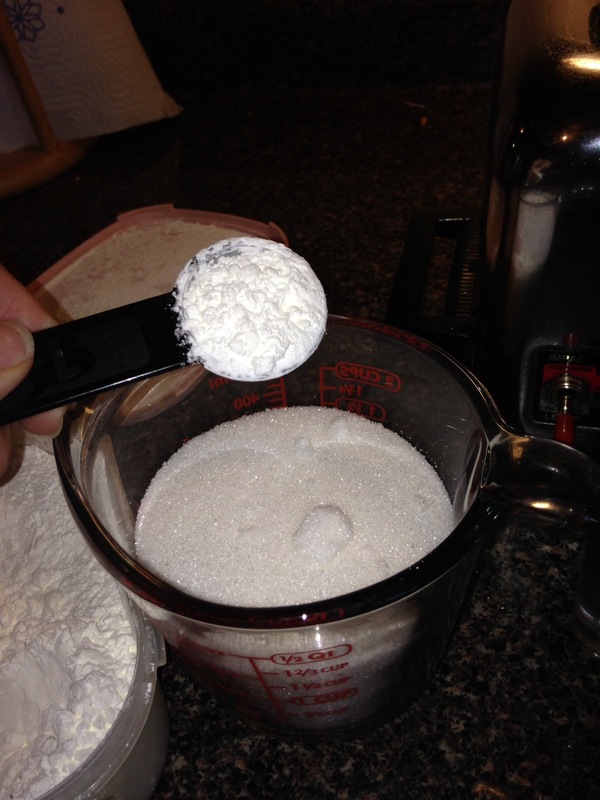 Add 1 Tablespoon cornstarch to the sugar. You may also choose to use arrowroot. Pour the two ingredients into the blender. Place top on Blender. 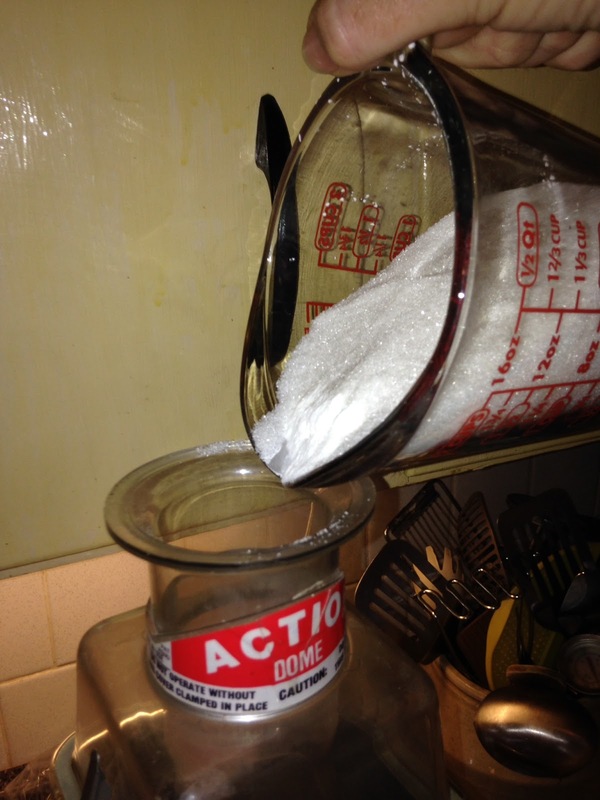 This is a very important step, as this process creates a lot of sugar dust. Not only will the be messy, but you don’t want to breathe in these small particles. Keep the lid in place during the blending process and let the dust settle before opening the top. Do not blend for more than 30 or 45 seconds at a time to avoid heat production and melting the sugar. The finished product is fine and fluffy with the same characteristics as the purchased confectioners sugar. This is used for icing, candy centers and other baked goods. 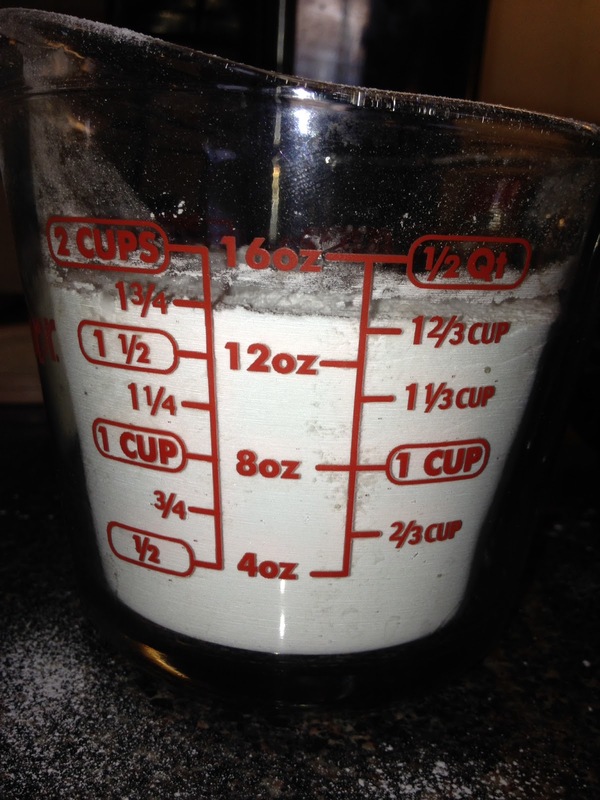 The original 1 1/2 cups expands as it is ground into the find powder. 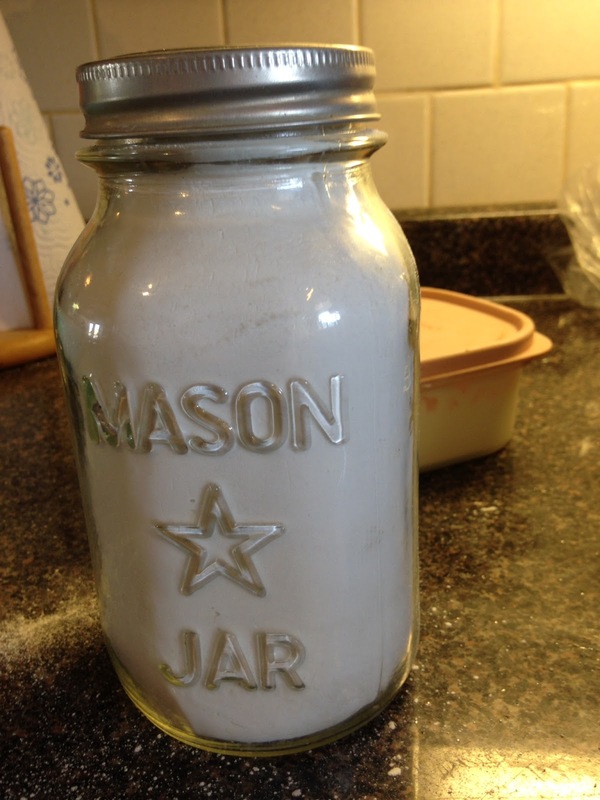 I used one of my canning funnels to put the powdered sugar into a mason jar for storage. The two batches that I made filled a quart jar. I didn’t weigh it, but I suspect this was more or less the equivalent to the typical one pound bag purchased at the grocery store. It took me about 5 minutes, including clean up and I never left the house. I know exactly how long it has been on the shelf and what it has in it. I made sure to use a lid with good moisture proof seal for storage to prevent clumping. If I were making this up for long term storage, I would vacuum seal the lid in place. 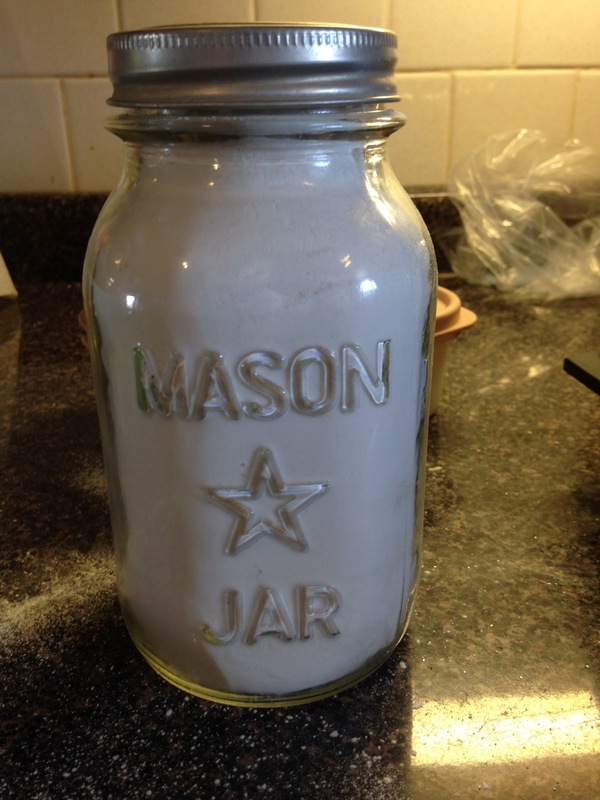 This jar is simply to have on my pantry shelf for weekly baking. Filling the jar was a little messy, but it wipes right up with a wet cloth. It is true that our forefathers did not have electric blenders and therefore this would not have been something that was done, in this fashion by the pioneer homesteaders. However, our family’s goal is to live simply and do as much as we can without being dependent on the large grocery stores. This project fits that category, allowing us to mark one more thing off our grocery list and do more and others for the common, everyday items we use. We are doing more and more for ourselves, using the technology available to us to continue our journey as Modern Missouri Pioneers. Cool. Does this work with a regular blender?